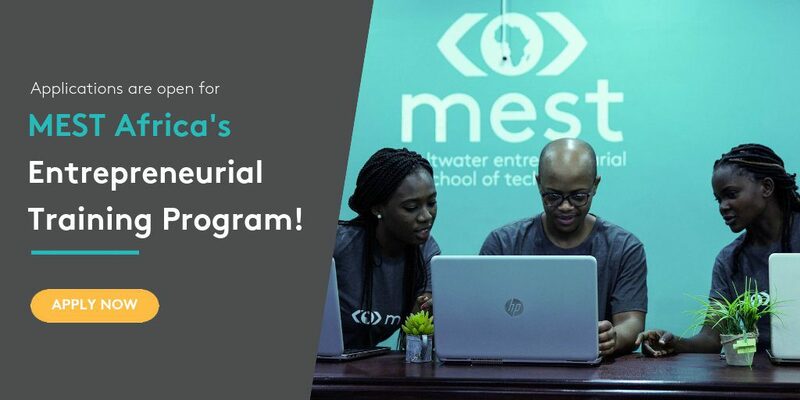 MEST provides a completely sponsored 12- month graduate-level entrepreneurial training in organisation, interactions and software application advancement, consisting of comprehensive hands-on job work, culminating in a last pitch and the possibility to get seed financing. The year-long training program offers Entrepreneurs-in-Training (EITs) with MBA-level entrepreneurship training in organisation, software application advancement and interactions. While diving deep into basic organisation and innovation principles, EITs total 3 Capstones annually– they form groups, develop a concept, develop and verify an item, achieve consumers and pitch the concept in front of our board. The year culminates in a last test through a financier pitch, after which some business will get seed financing and get in the MEST Incubator. Last recruitment occurs in Ghana, Nigeria, Kenya, South Africa and Cote d’Ivoire. All individuals need to offer individual info that holds true and precise. Accepted prospects need to have the ability to dedicate to investing a year in Accra, Ghana at the MEST training program beginning August. The MEST program is totally moneyed, consisting of complimentary tuition, space and board, 3 meals each day and a little regular monthly stipend. 2 InvitationQualified candidates will get an invite for a telephone interview with a member of the MEST group. 3 ScreeningApplicants who pass the telephone screening will be welcomed to take an online ability test. In-person group and specific interviews happen in South Africa in February; and in Ghana, Kenya, Nigeria and Cote d’Ivoire in May each year. 5 OffersOffers are sent by the end of May each year. 6 Start of trainingTraining begins in August each year.